The Artica Proxy watchdog is able to perform actions and notifications on the proxy service issue. 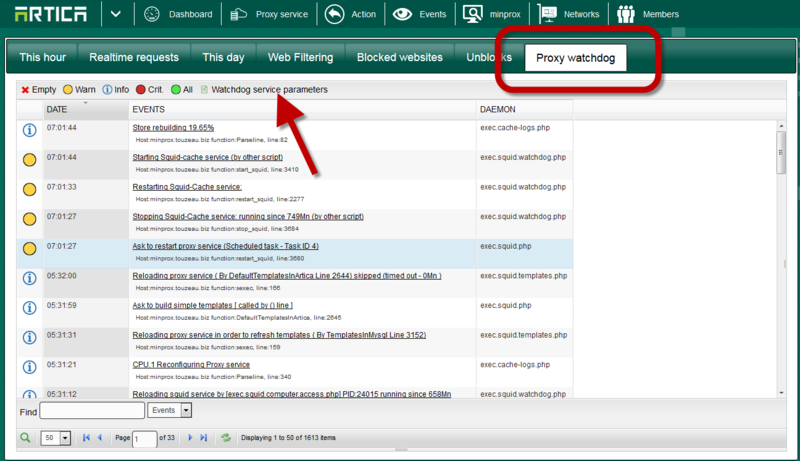 Click on Proxy Watchdog tab and on Watchdog service parameters button. 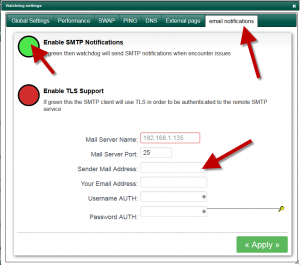 Fill the form according the SMTP parameters.